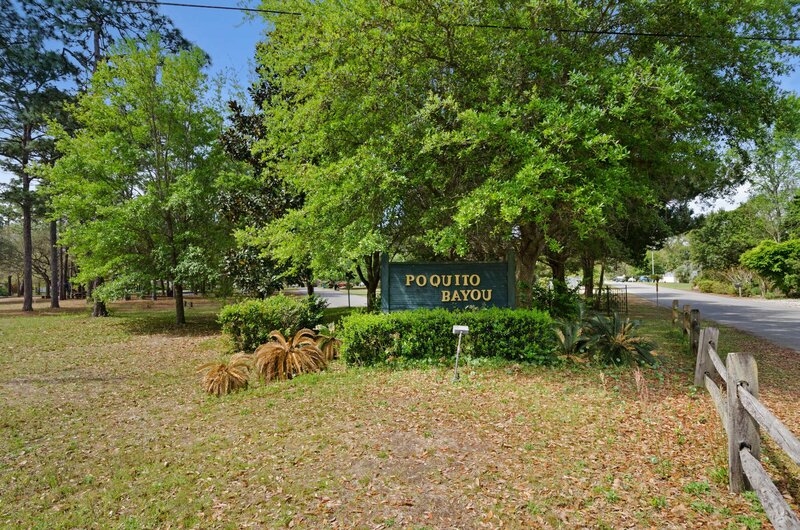 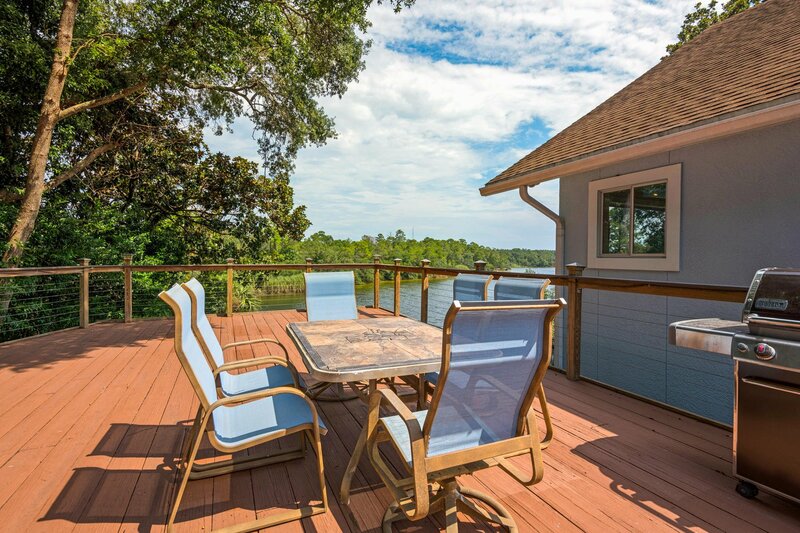 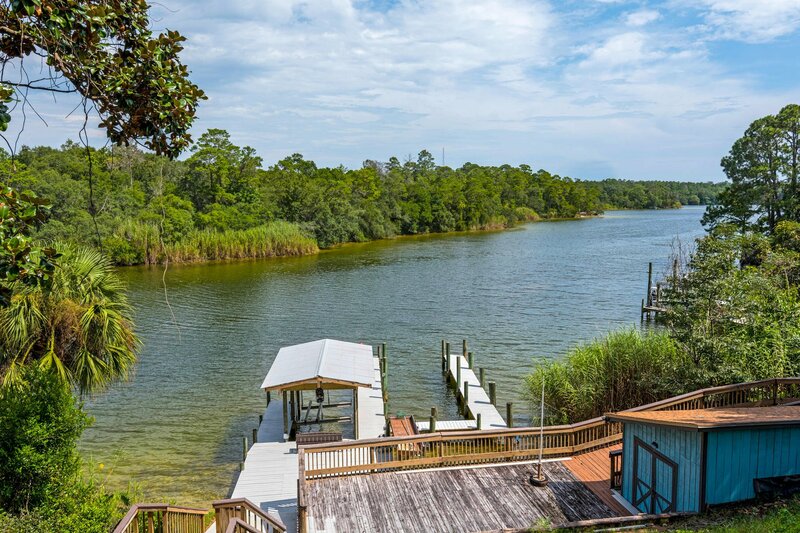 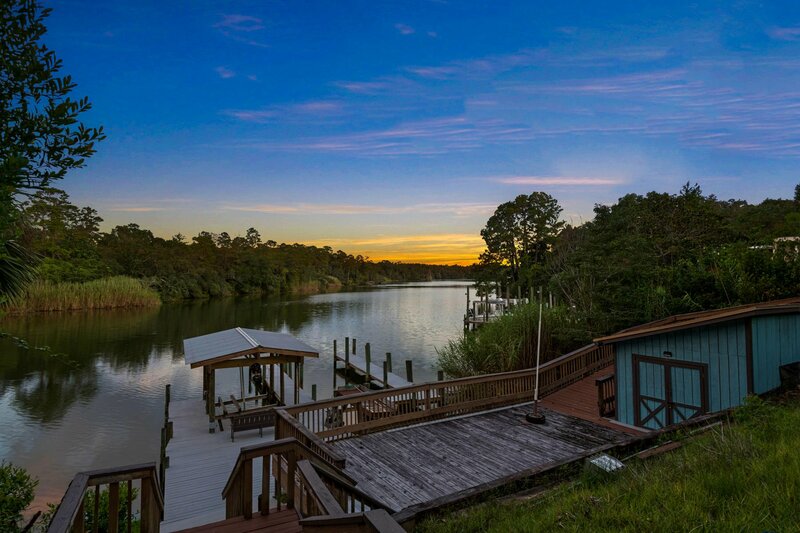 Live ''Salt Life'' on the prestigious Poquito Bayou with three decks for relaxing on the waterfront. 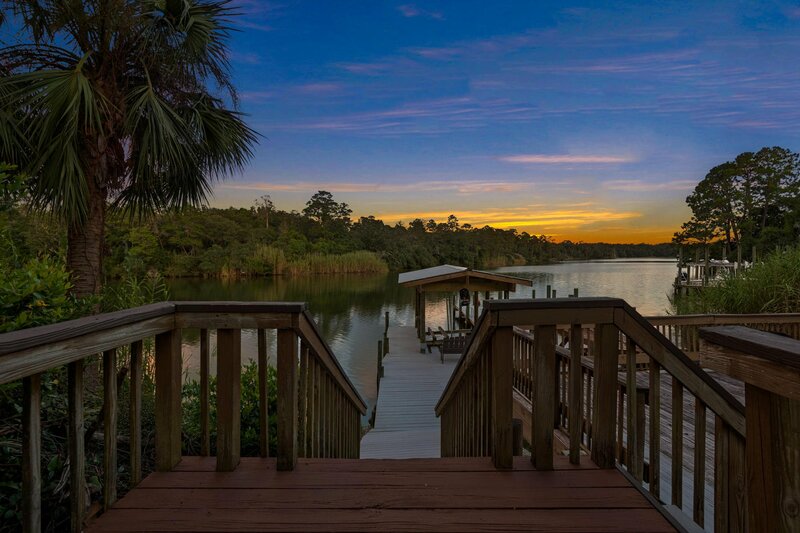 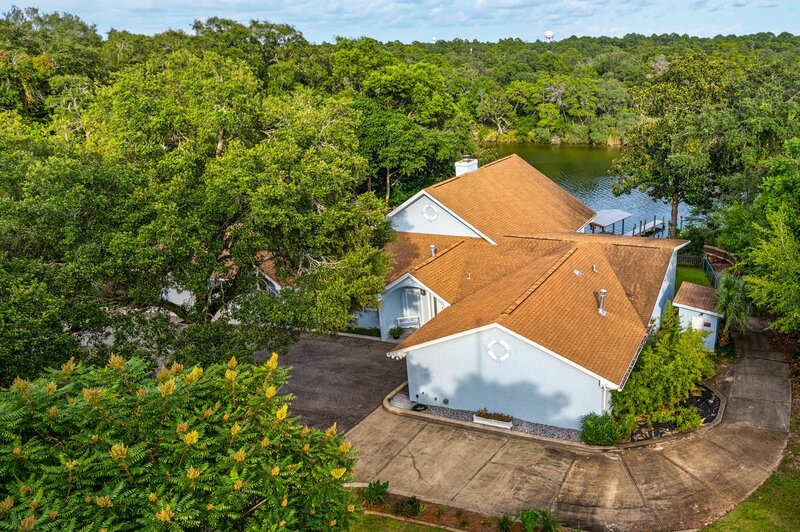 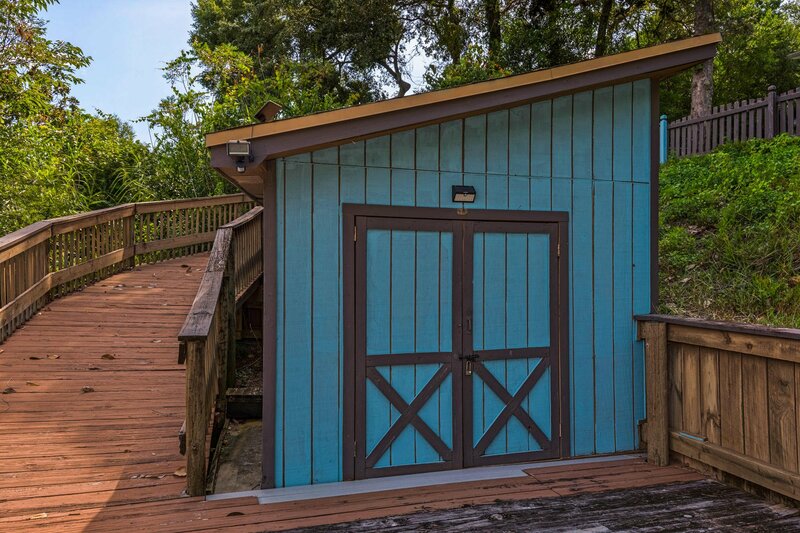 Outdoor features include a covered deep-water, double-slip dock with full amenities, boat house with power and water, boat lift, secure jet-ski storage, RV parking and a whole-house generator. 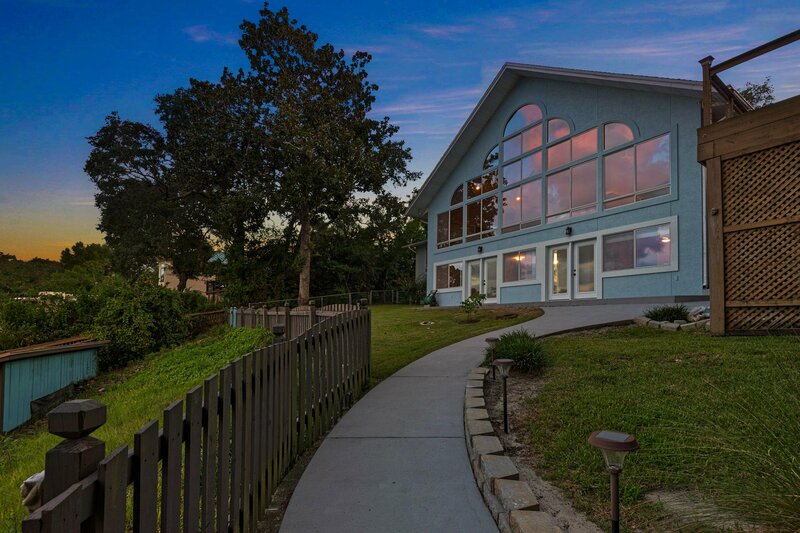 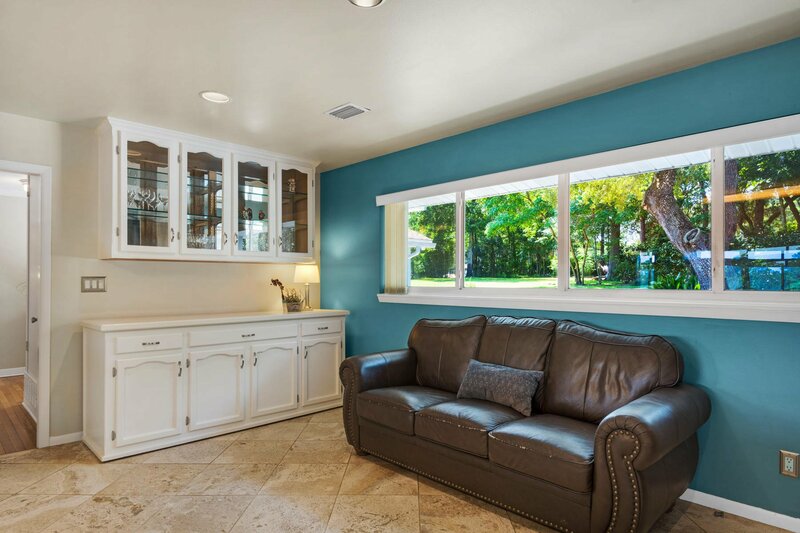 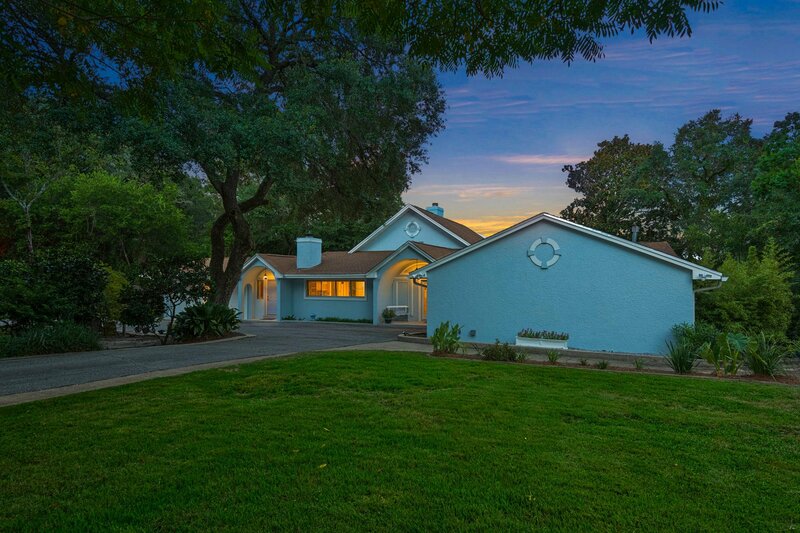 This one-of-a-kind concrete block home sits high and dry, 35 feet above the flood zone! 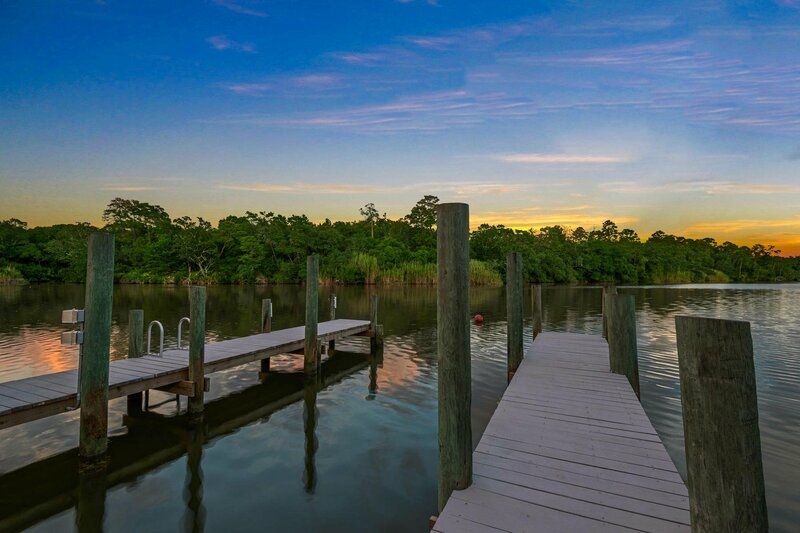 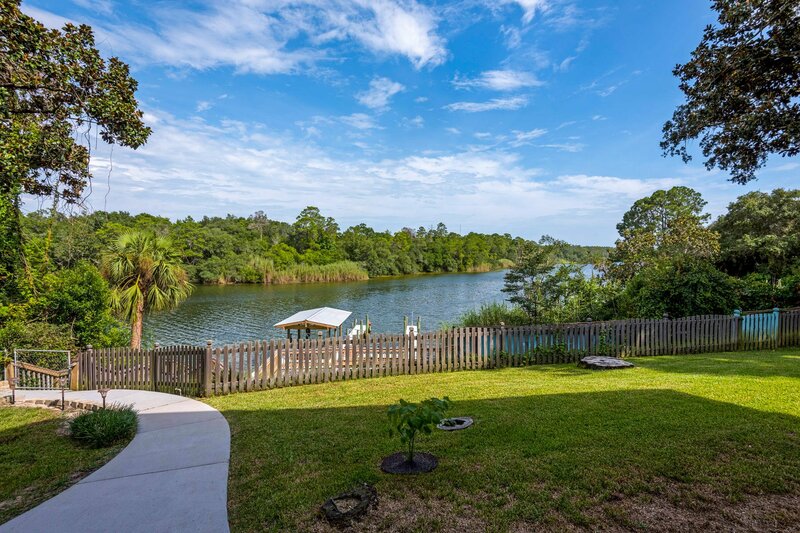 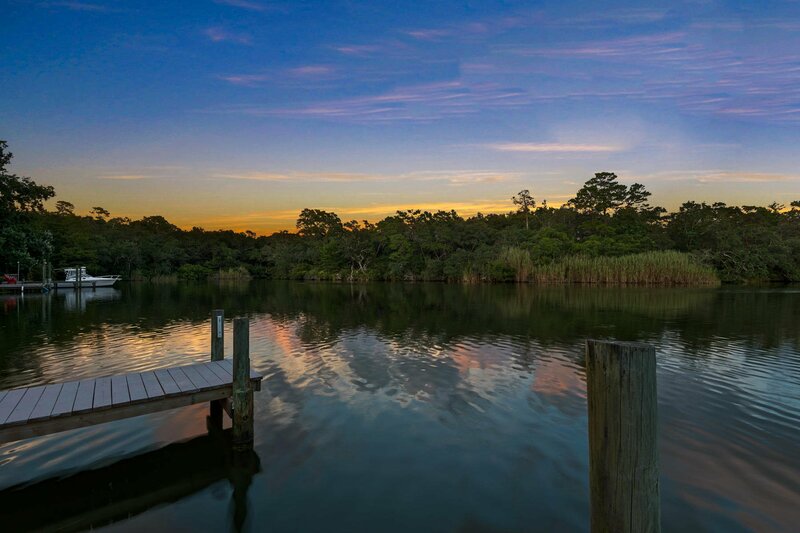 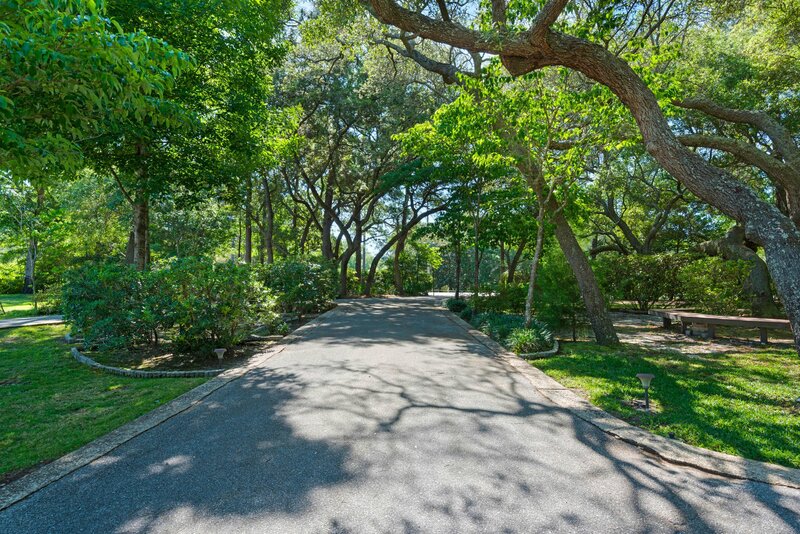 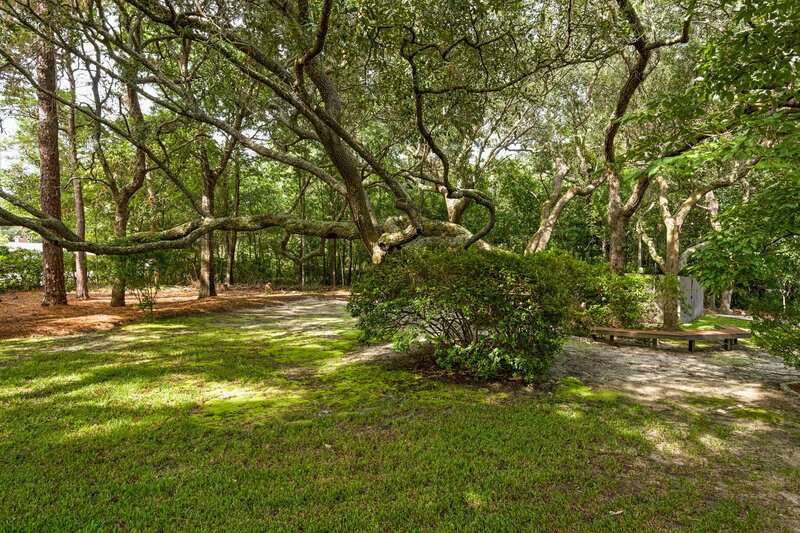 Offering complete peace and privacy, the 1.18 acre waterfront lot is graced with 300-year-old oaks and faces a greenbelt on the opposite shore. 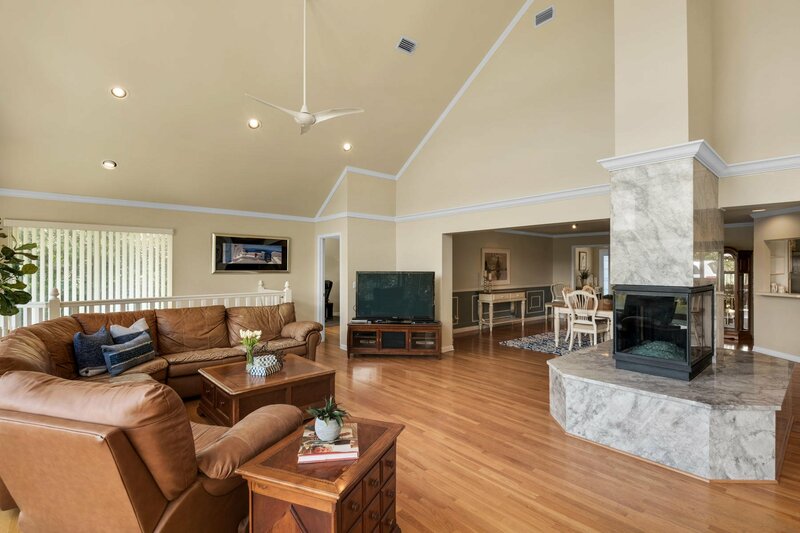 Step inside the welcoming 4,083 square foot home to see the full range of features including 19-foot-high ceilings, warm hardwood floors, a Brazilian granite 3-sided gas fireplace and matching bar. 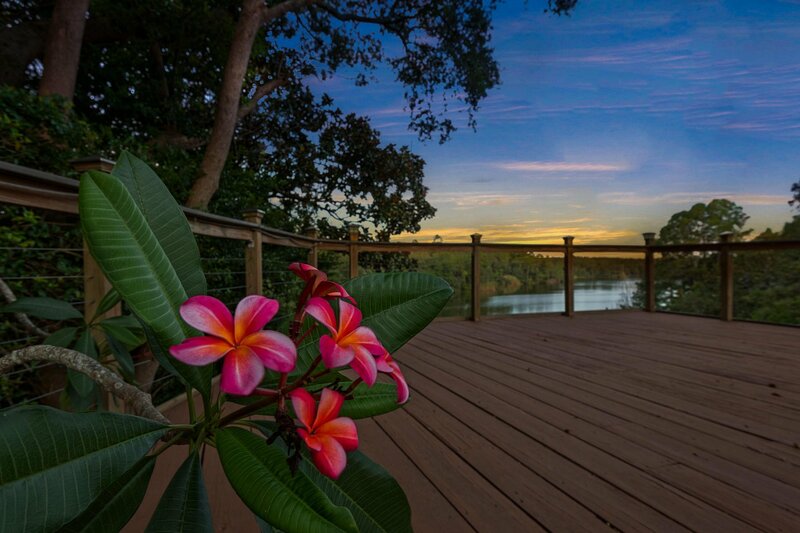 It's the perfect place to entertain or just chill out after a day of fishing boating and watersports. 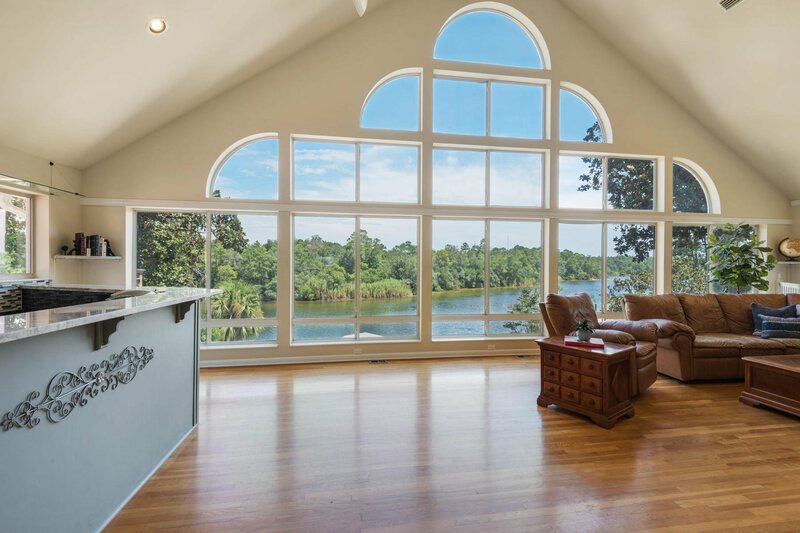 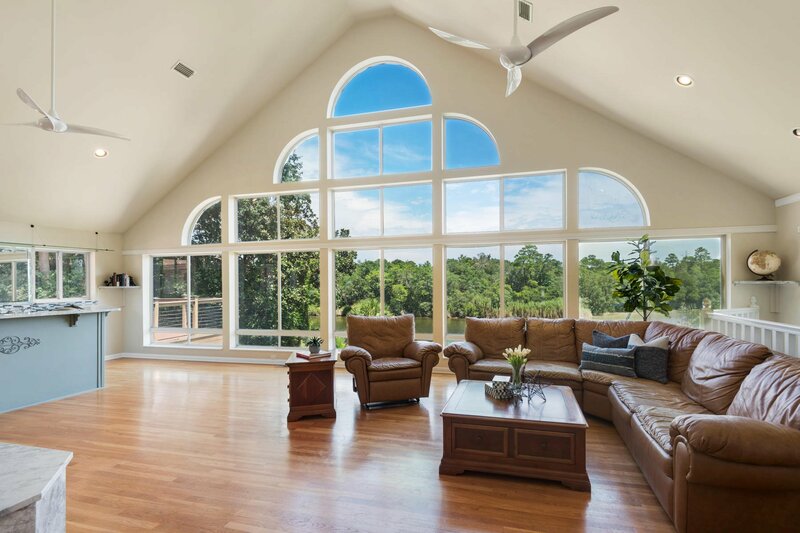 Captivating views are enjoyed through the two-story wall of windows in the imposing great room. 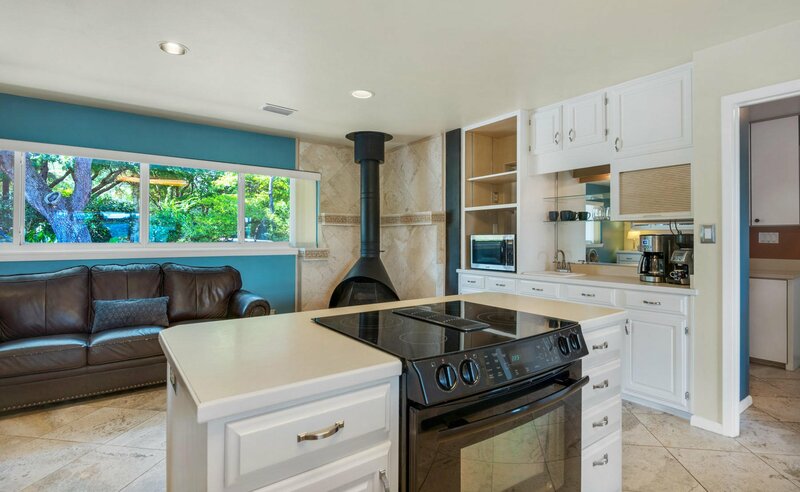 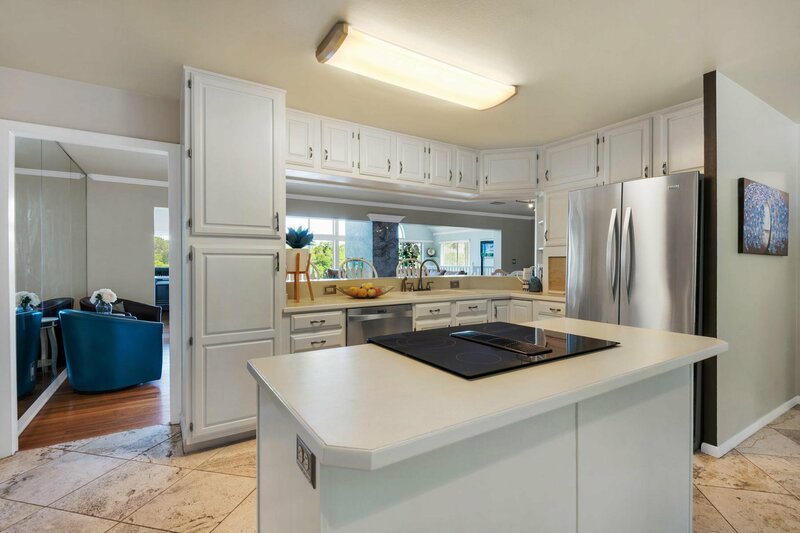 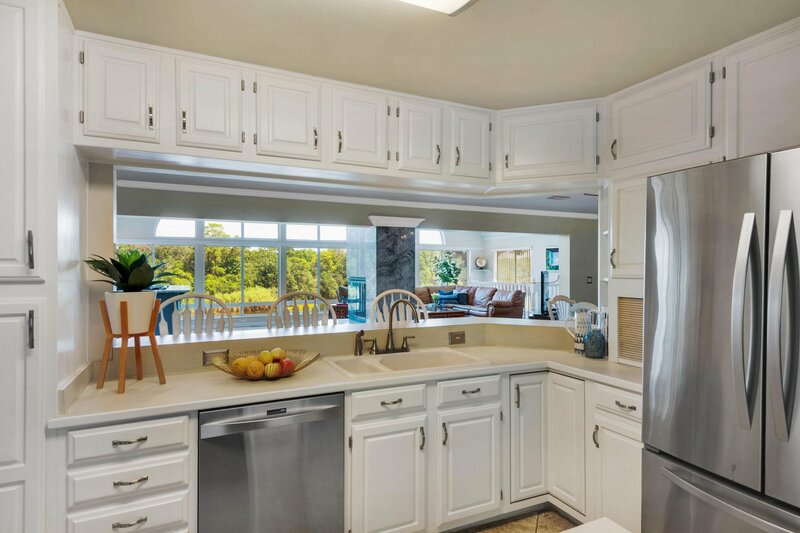 The adjoining kitchen has its own free-standing gas fireplace, separate coffee and breakfast bars, stainless steel appliances and endless cabinets for every gadget. 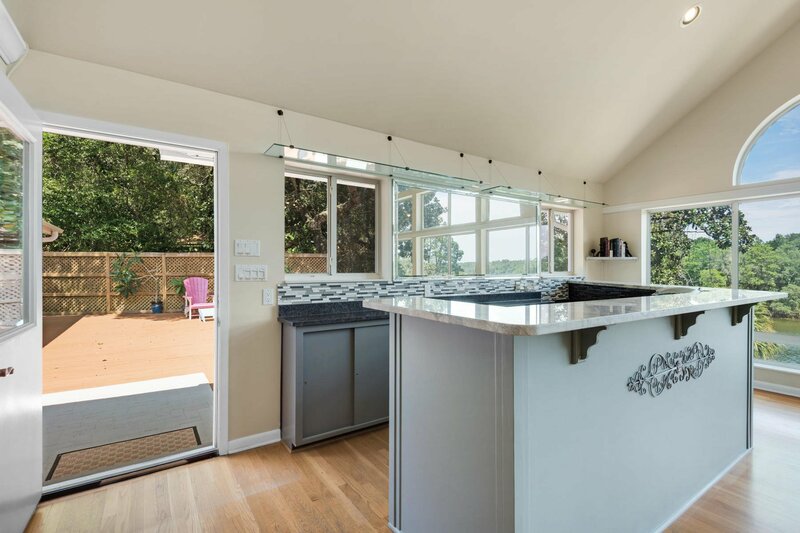 It's a natural hub for hanging out informally, allowing the chef to be part of the social gathering. 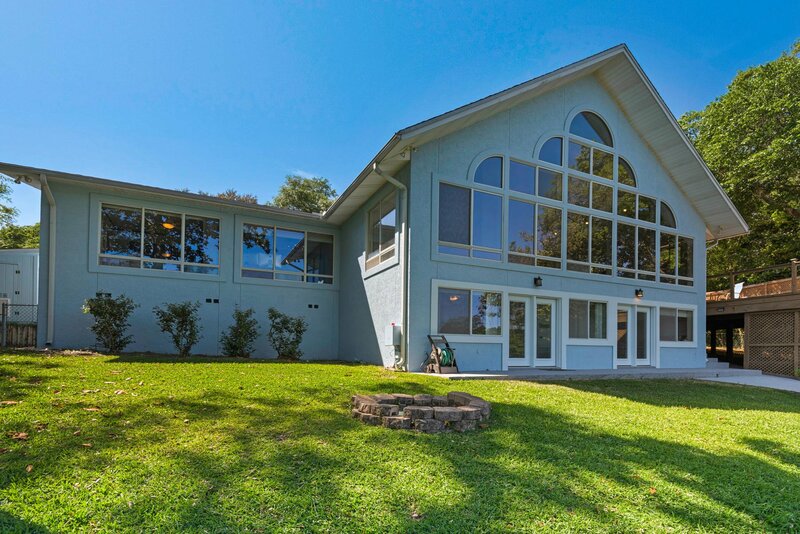 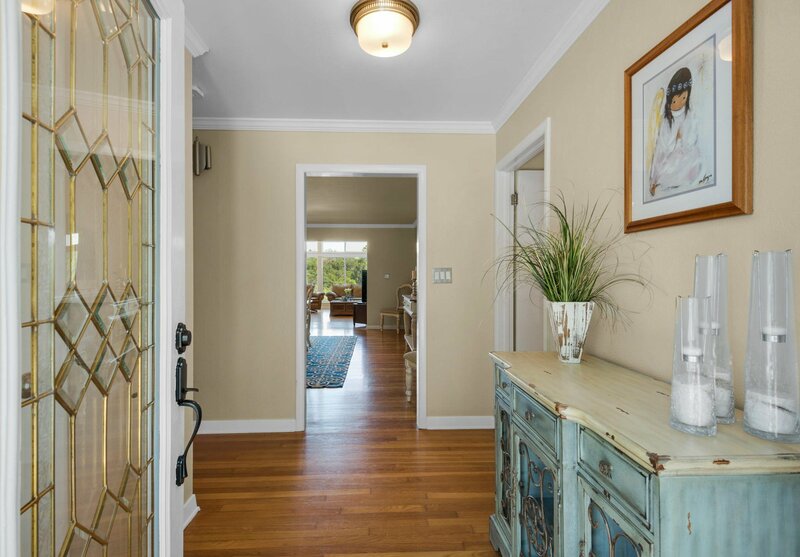 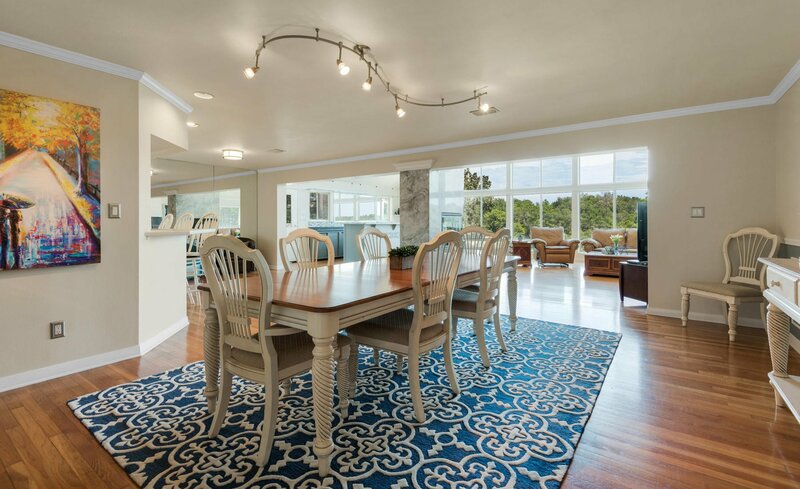 This waterfront haven has 5 bedrooms and 3 full bathrooms with plenty of space to accommodate guests on a grand scale. 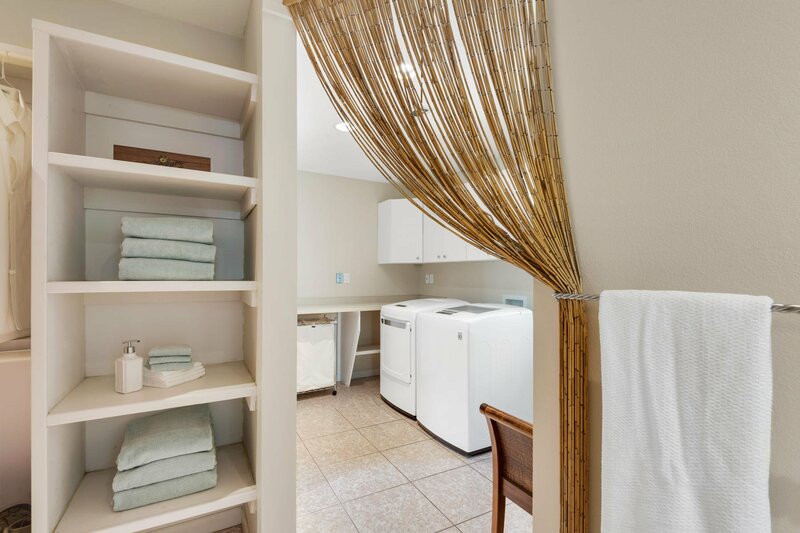 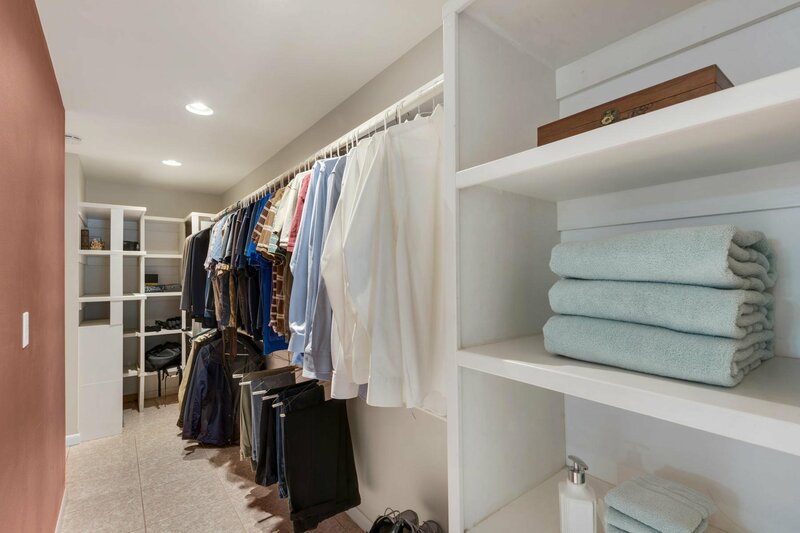 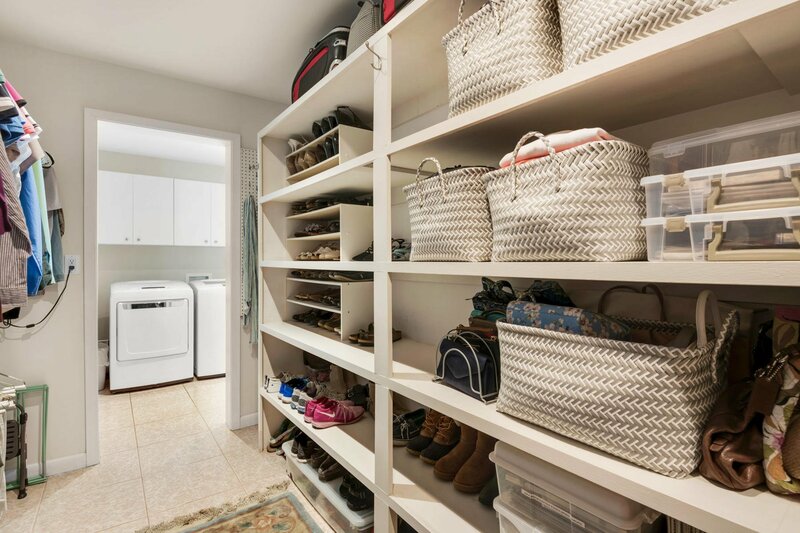 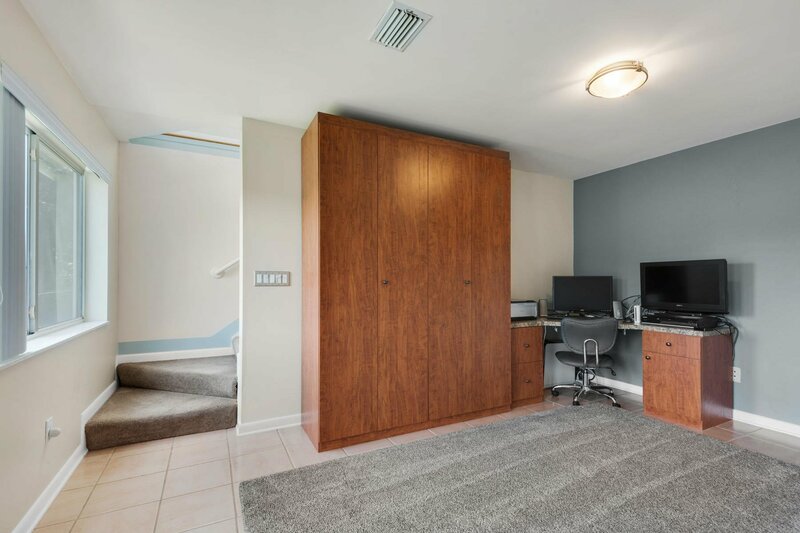 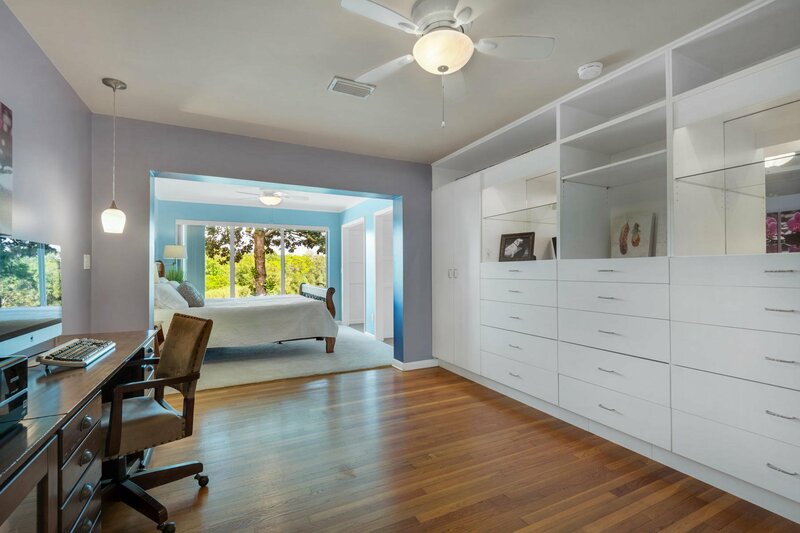 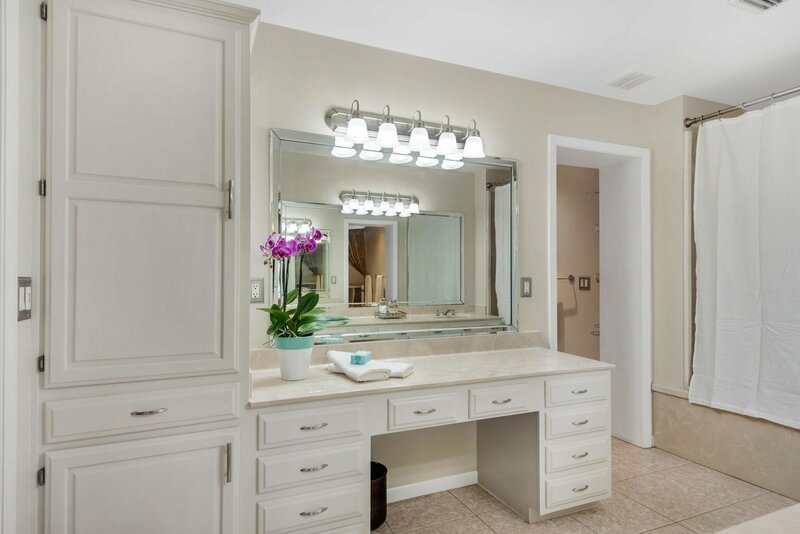 The master suite includes bespoke cabinetry, a separate sitting area, an additional laundry room and two large walk-in closets that must be seen to be believed. 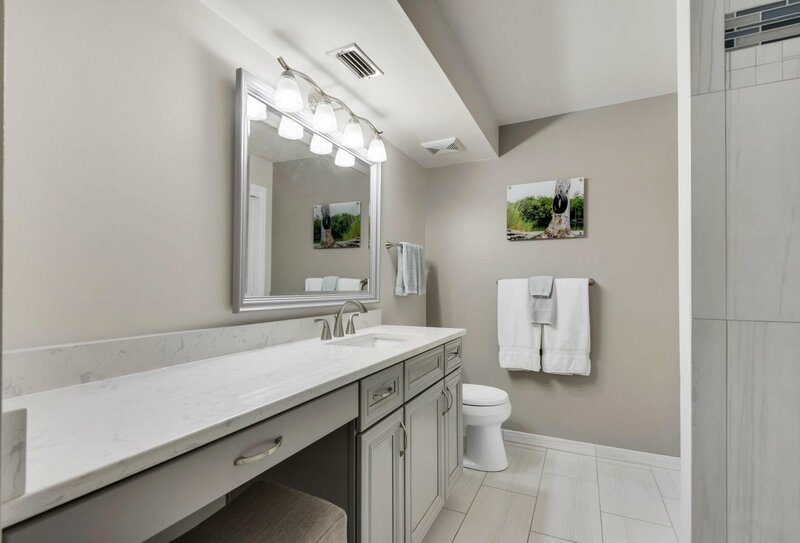 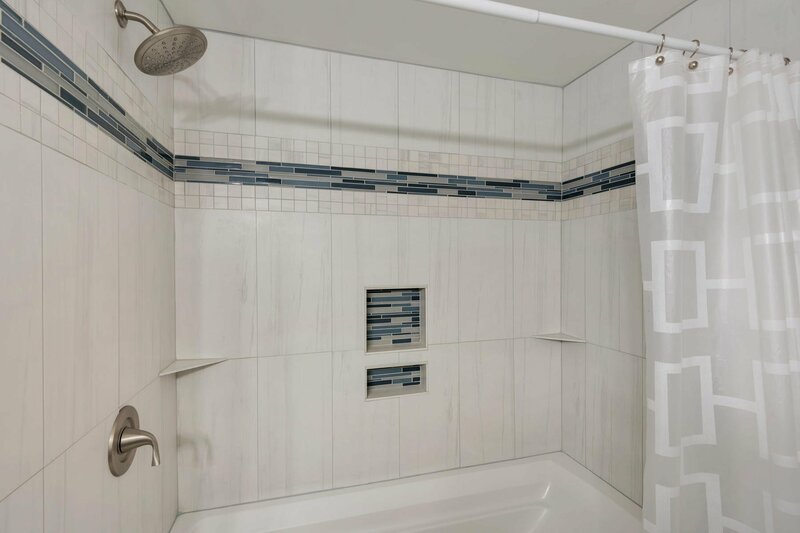 The spa-like bathroom has it all, jetted tub, dual vanities and private steam room for ultimate health benefits. 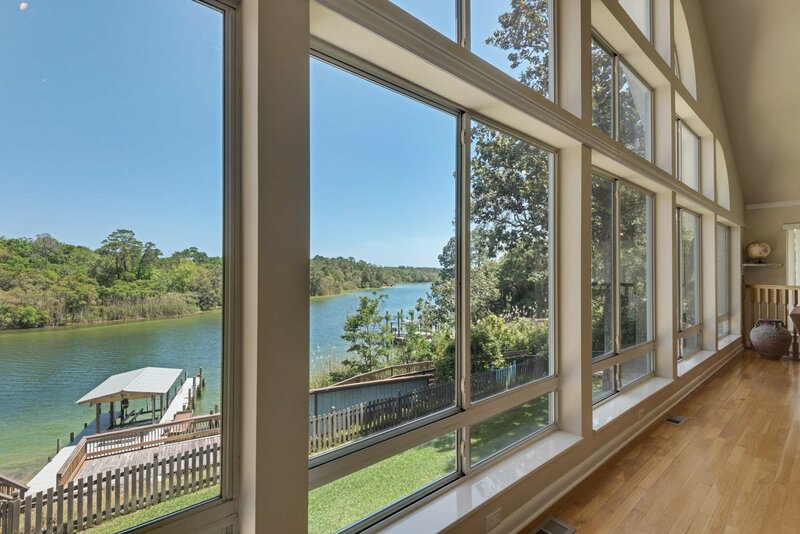 Amazing views continue on the lower floor, which includes a rec room with a Murphy bed and built-in 6-foot Fort Knox safe in the closet. 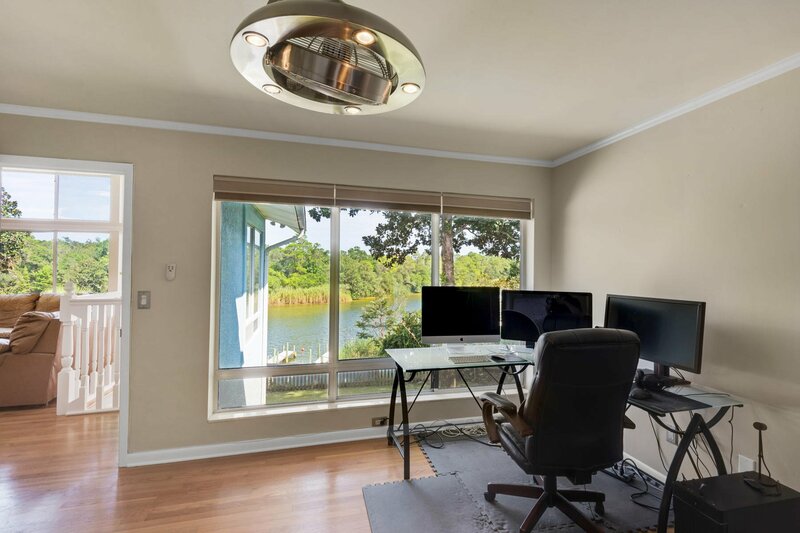 Behind the scenes, the Nest system takes care of everything from Wi-Fi controlled lighting and HVAC to security, smoke and carbon monoxide detection. 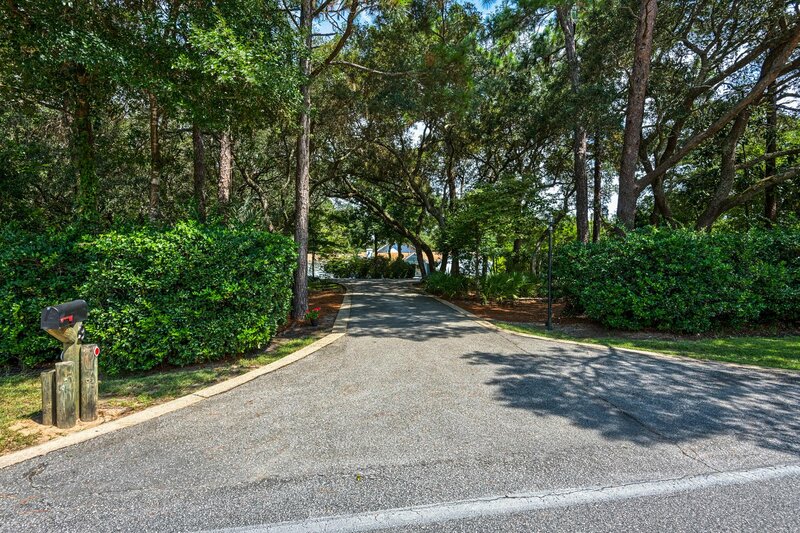 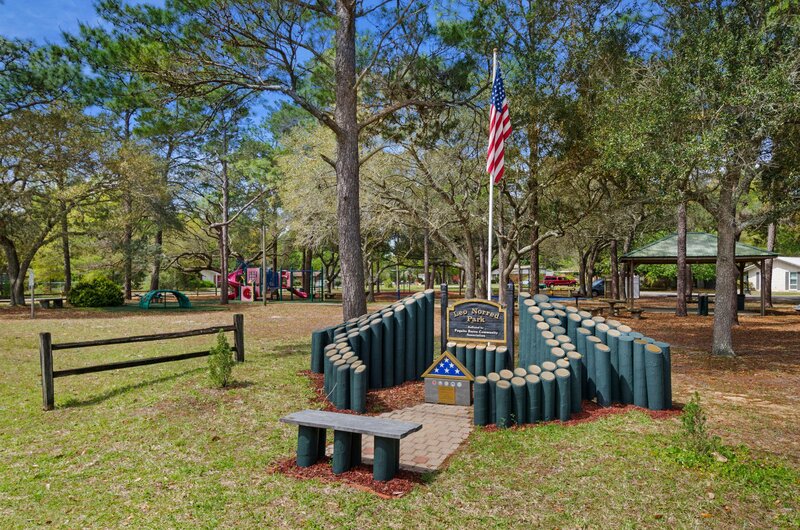 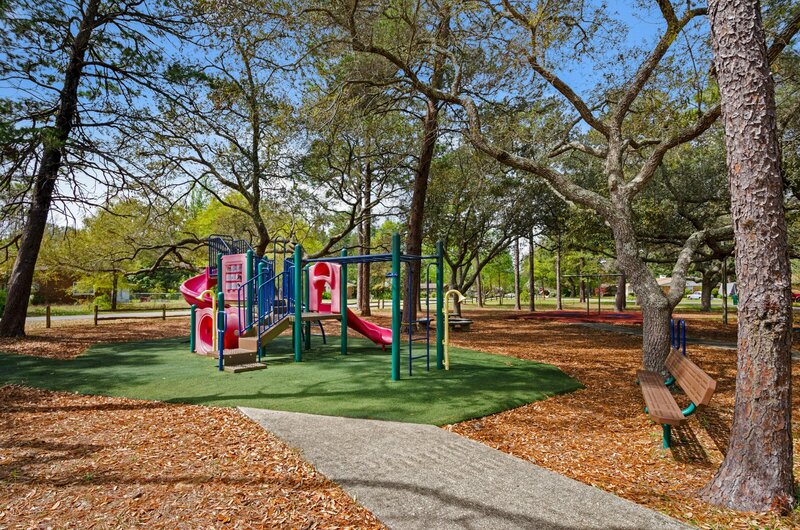 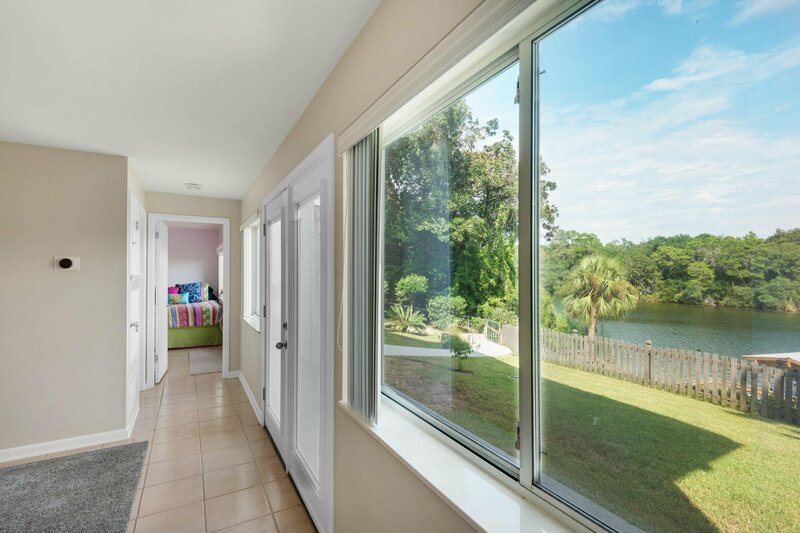 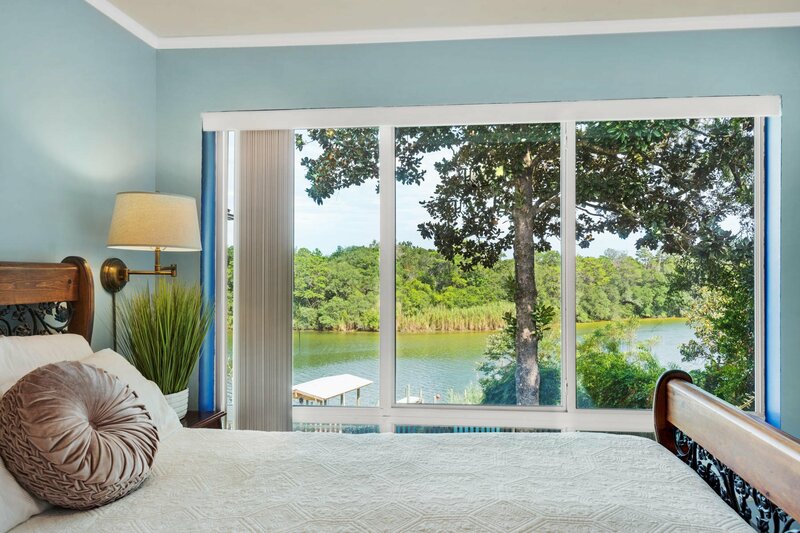 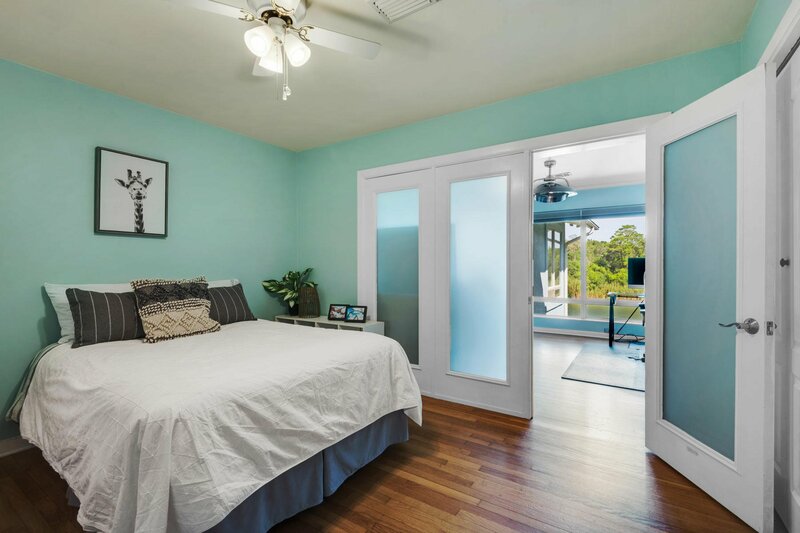 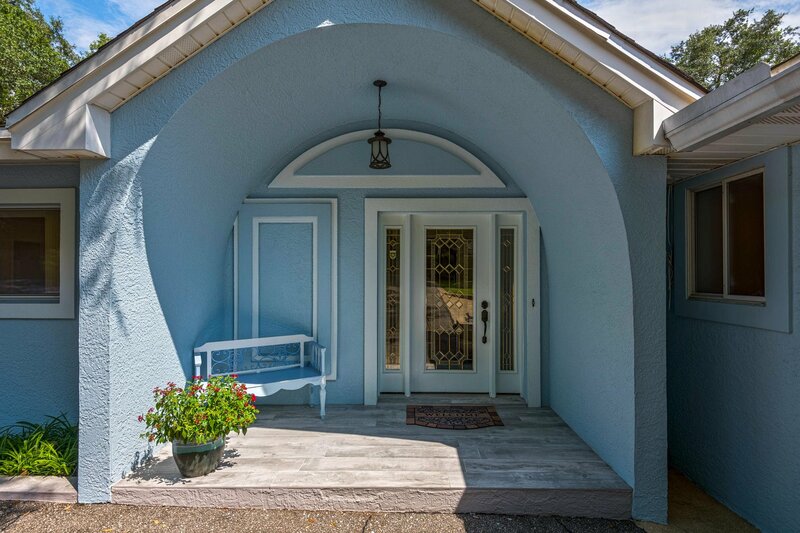 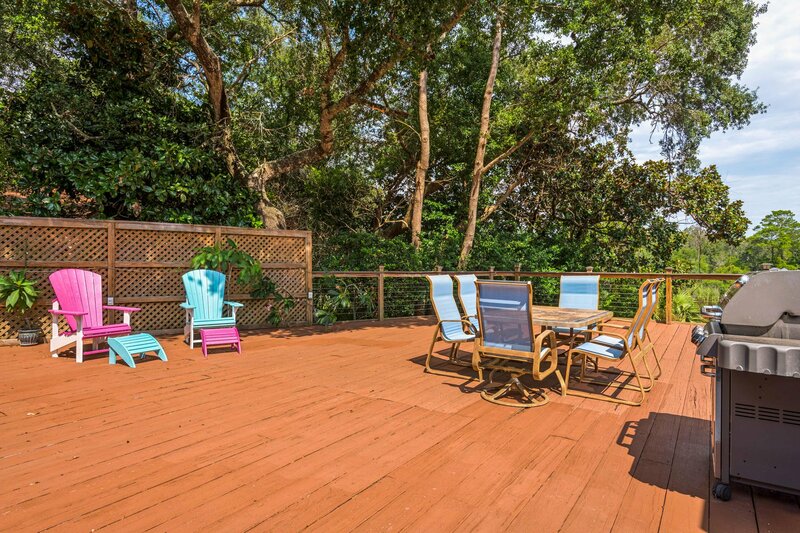 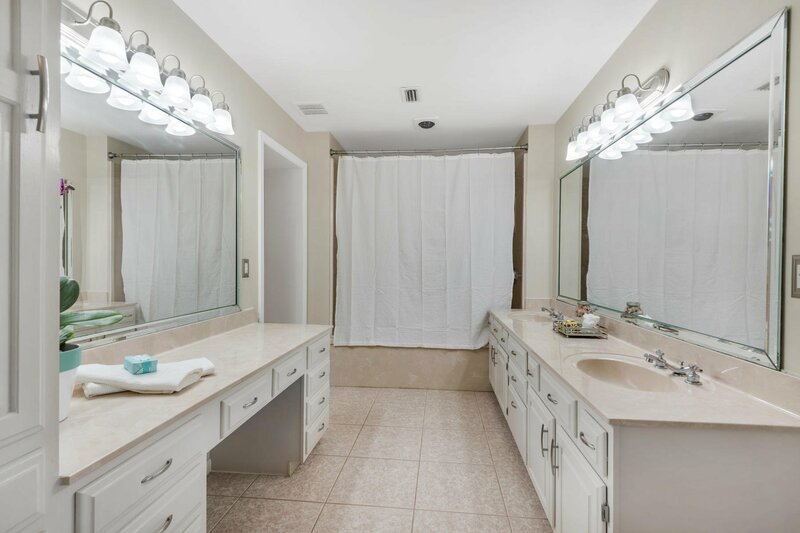 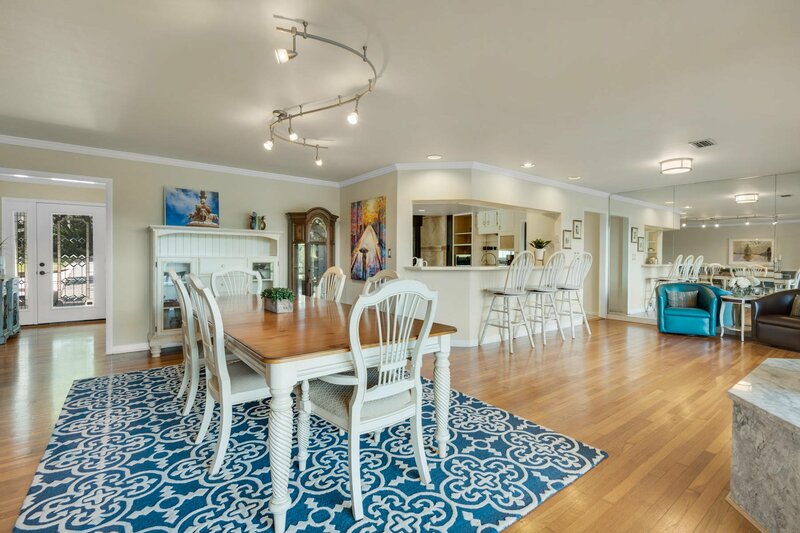 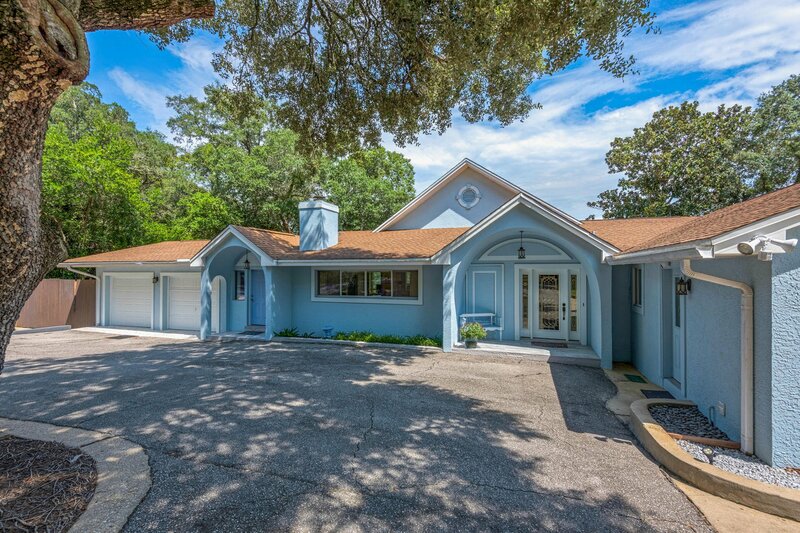 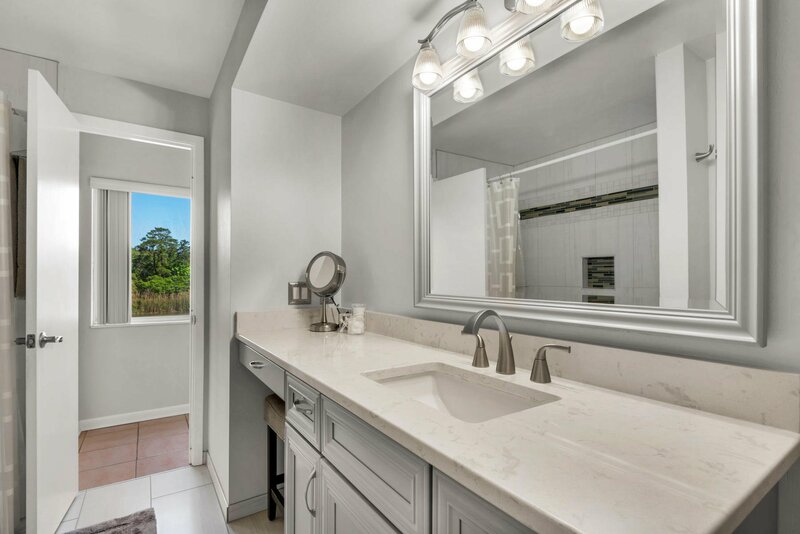 The location can't be beat -- convenient to schools, beaches and shopping; minutes to Destin-Fort Walton Beach airport and Eglin Air Force Base.